2639 RAPPEL KAROLY IN PESTEN. AN ATTRACTIVE MONTH DURATION DACHLUHR WITH PIE CRUST BEZEL. CIRCA 1845. A particularly attractive late mahogany Dachluhr, the case of typical form with maplewood stringing to the top door and sides of the case. The rooftop with straight sided mouldings and the door and side members made nicely thin to enhance the proportions . The backboard has well chosen quartered veneers. The enamel dial is signed for the maker “Rappel Karoly in Pesten”. 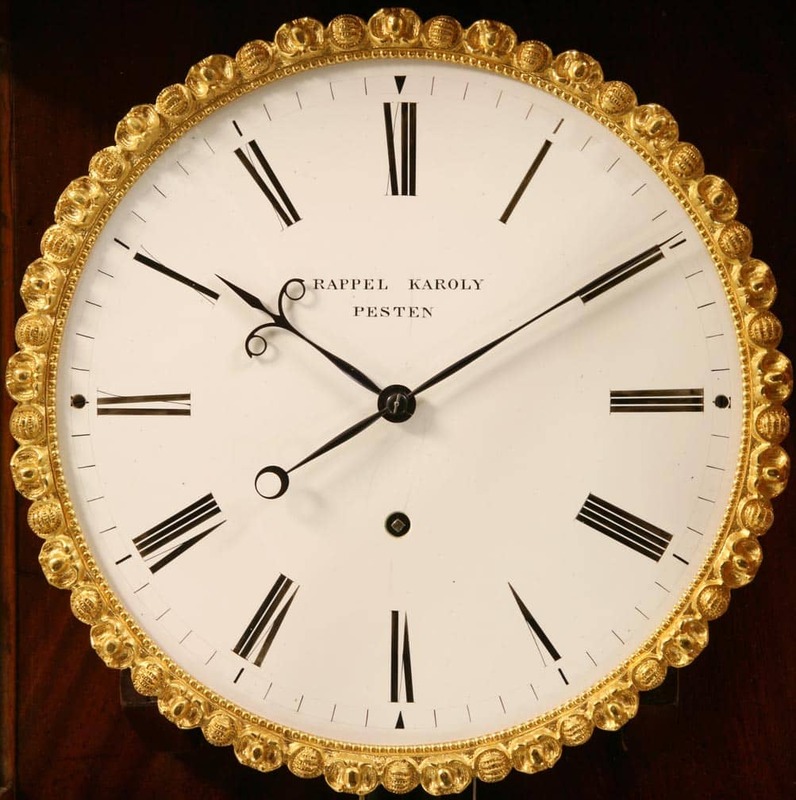 It has nicely shaped blued steel hands of a style that appears to have been much favoured in Budapest as we have seen a number of other clocks from there with the same style hands. 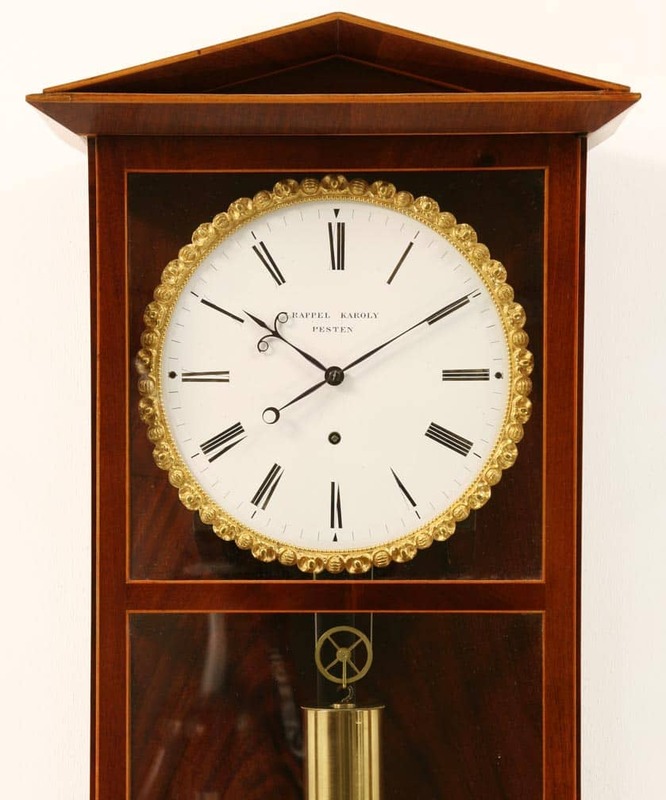 The dial is surrounded by a gilded pie-crust bezel, which is one of the indications of this clock being quite late for its style. 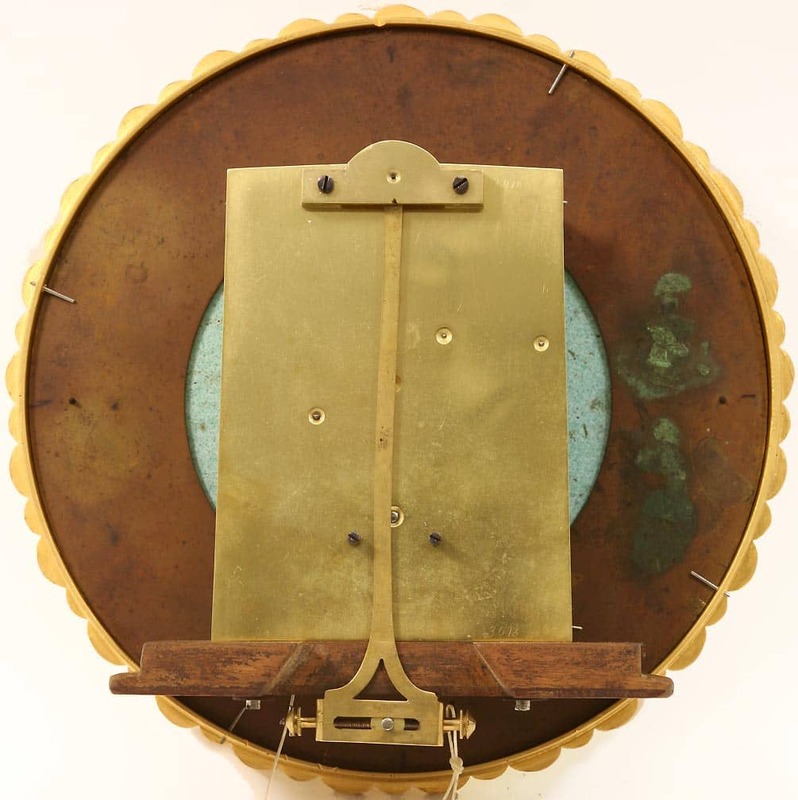 The clock employs a wood rod pendulum with a large brass bob and is driven by a larger than usual brass weight in order to give the month duration.